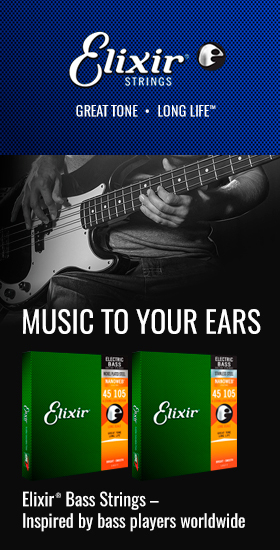 Elixir Strings - Andertons Music Co.
Elixir make some of the best guitar strings on the market, famous for producing coated strings that ensure much longer life than standard guitar strings! 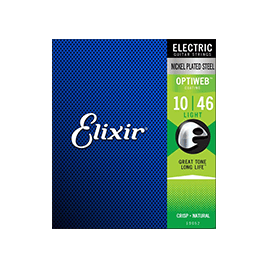 Elixir Strings are a premium guitar string brand, and their coated-string design has been copied the world over by numerous guitar string companies. How do Elixir Strings work? 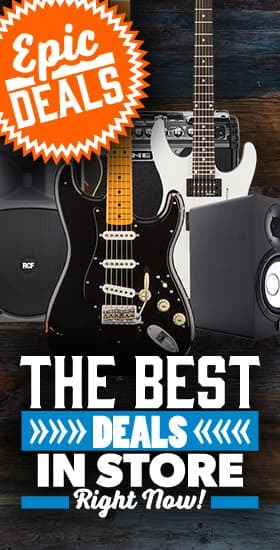 As you may or may not know, sweat and dirt from your fingers will gradually destroy guitar strings and take them from sounding bright and brilliant to dull and overused. This was just an accepted fact and was the sole reason that many touring guitarists would change their strings before every show. The good people at Elixir decided that this wasn’t good enough and worked on creating a thin polymer tubing that would cover the string without affecting the resonance, sustain and tone of the guitar string. You can imagine how thin this tubing would have to be in order for this to work. After a remarkable amount of field-testing, Elixir landed on a winning formula and the Polyweb string was born! 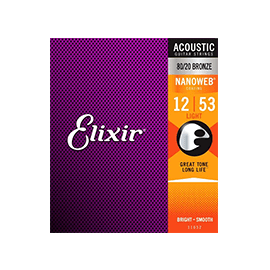 Elixir make their coated strings for just about any stringed instrument you can think of, including acoustic and electric guitars, bass guitars, banjos and mandolins. 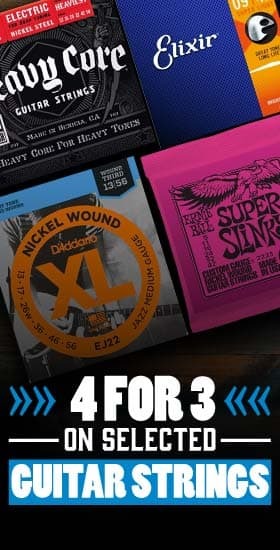 These strings are then broken up into 3 different ranges that all have a slightly different ‘flavour’ in terms of how they sound. 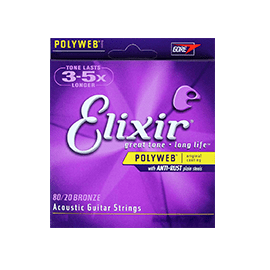 Polyweb – Polyweb strings were the first coated string designed by Elixir and are still made to this day. Nanoweb – Nanoweb strings have got a thinner coating than the Polywebs and are made from a different material giving these strings a different sound and feel altogether. Optiweb – Optiweb strings have been developed and designed to feel like an uncoated string. The Poly and Nanoweb strings have definitely got a distinct feeling that only comes with a coated string – which isn’t a bad thing, but some players definitely prefer the uncoated string feel.